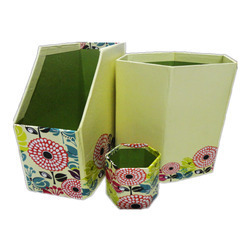 Handpainted paper mache boxes are the ideal gifts for this season to give your loved ones. Available in many different shapes, colors and designs, these are made from the finest quality of paper mache and then beautiful hand paintedd motifs. we have in store with us heavy weight holding paper box, which is manufactured using premium quality materials. This is available with us in various sizes and shapes and can store light as well as heavy gift items. These paper box is very ideal for occasions when the user desires to gift something special to the person. 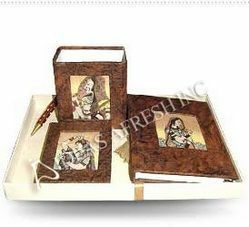 We are suppliers of gift items for all occasions in Delhi. These are Natural and Eco-friendly products.